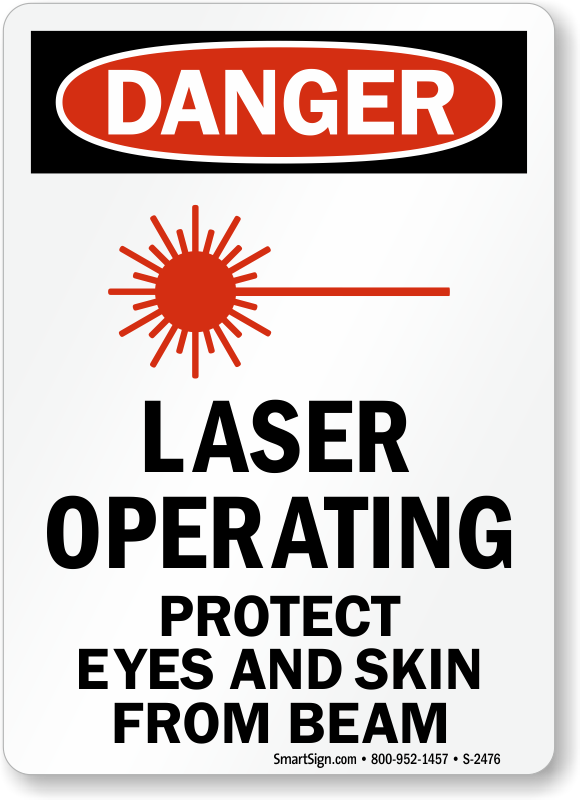 Even low-power lasers with only a few milliwats of output can be hazardous, especially to human eyesight. 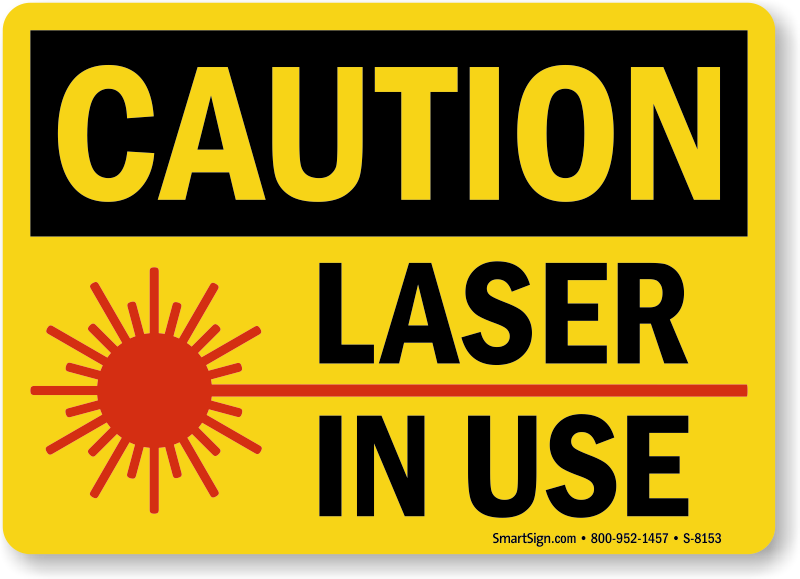 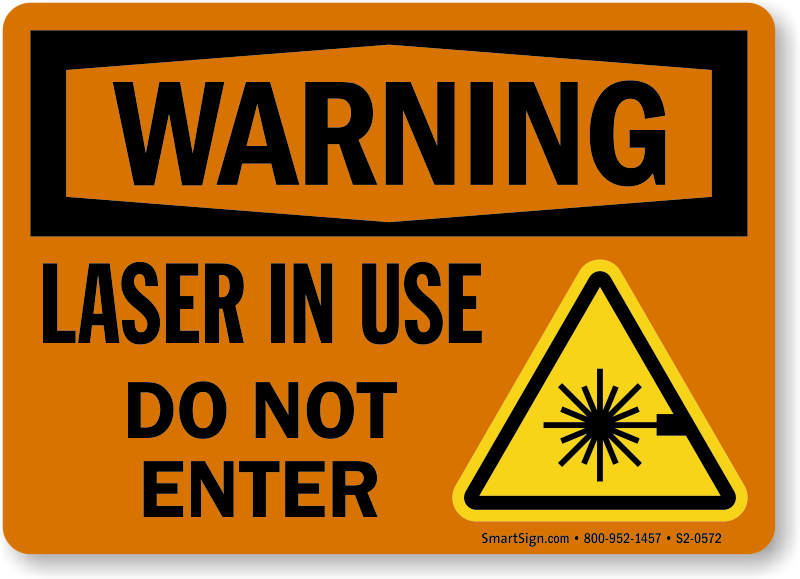 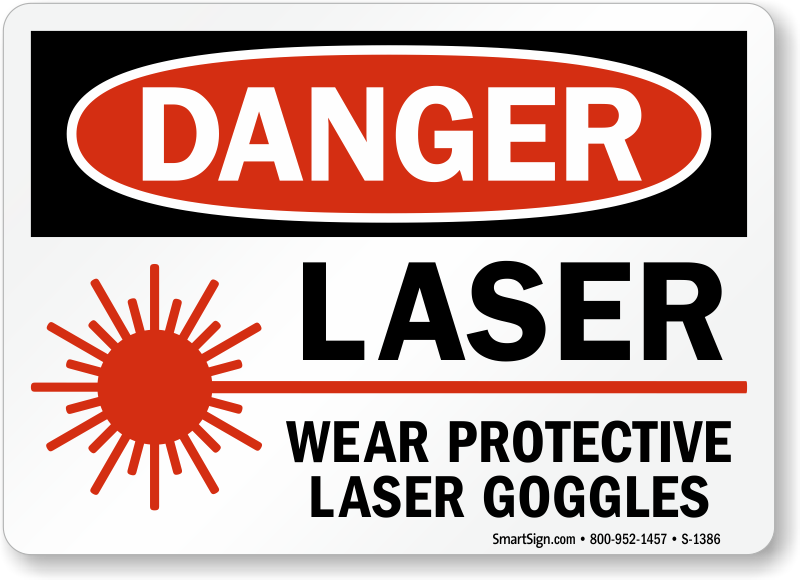 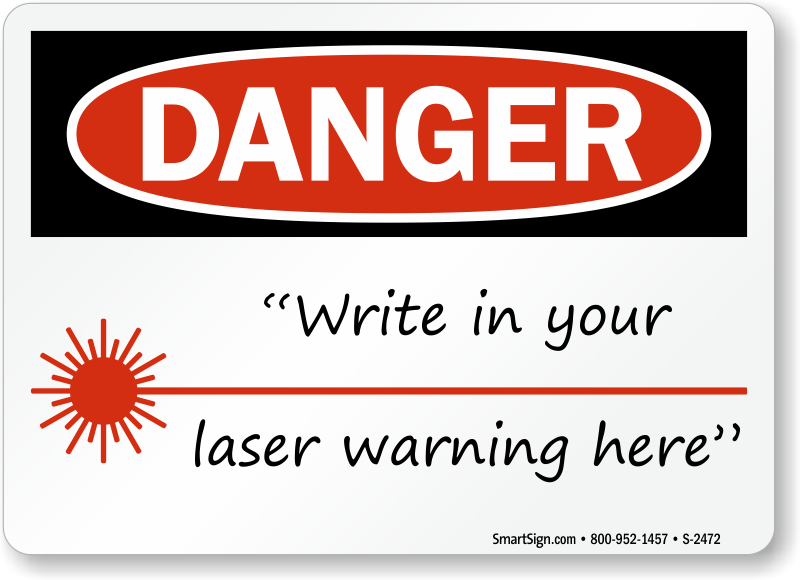 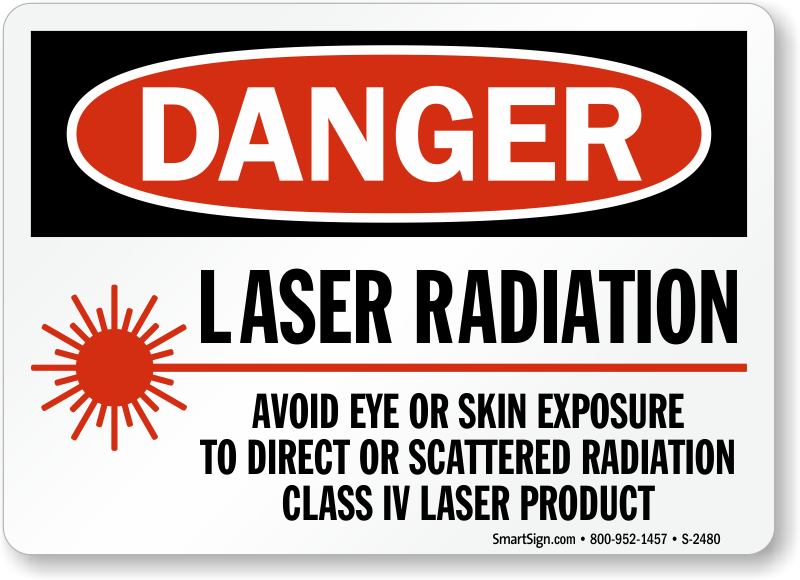 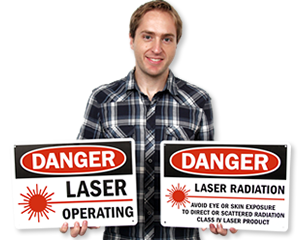 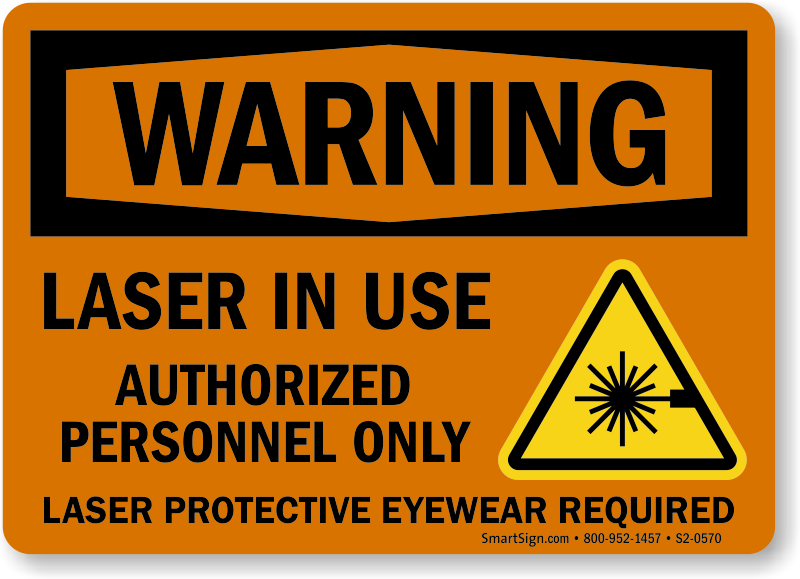 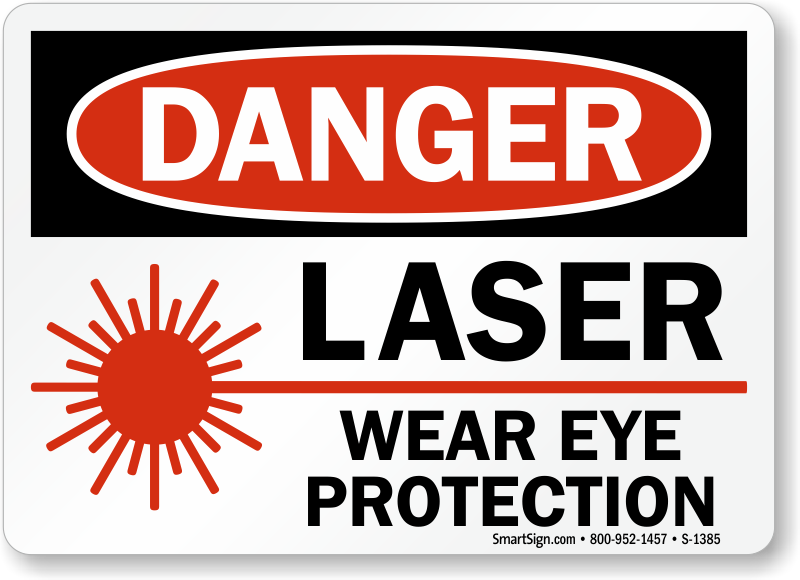 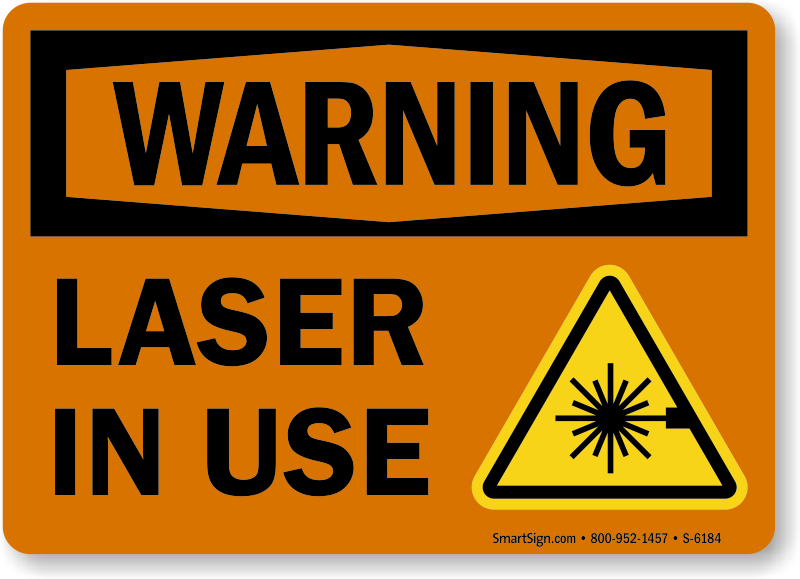 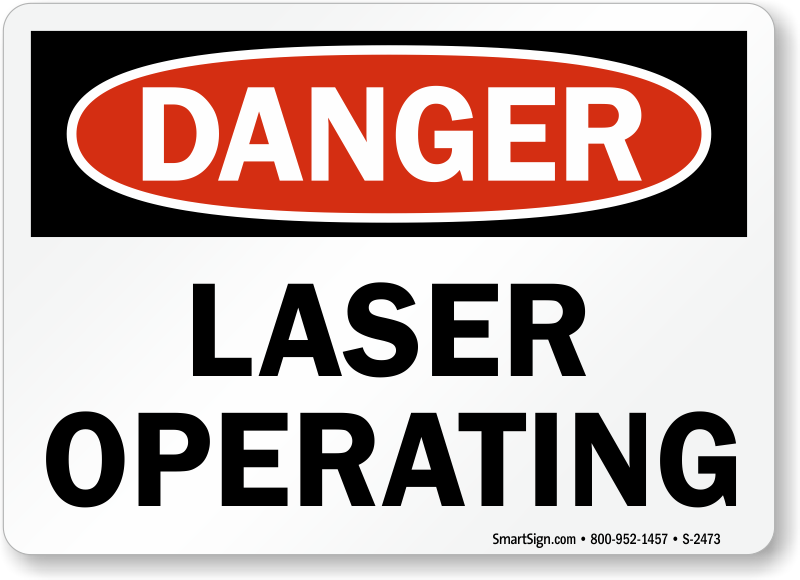 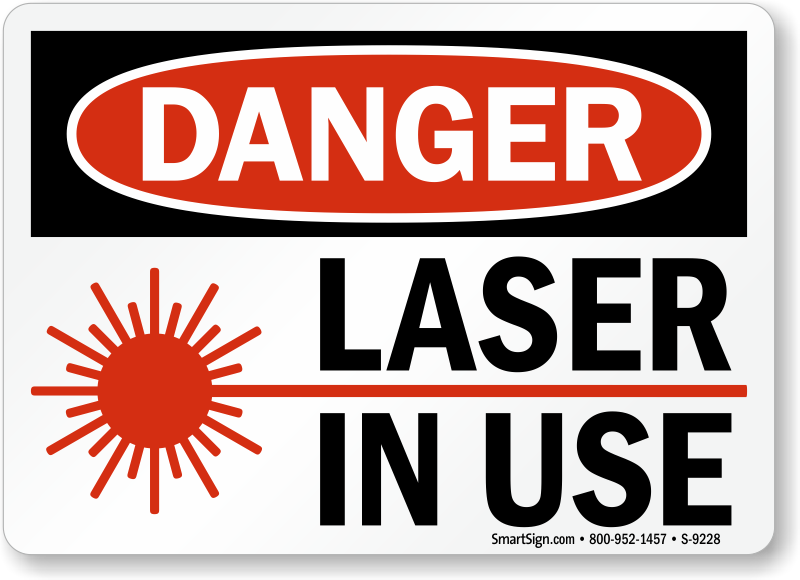 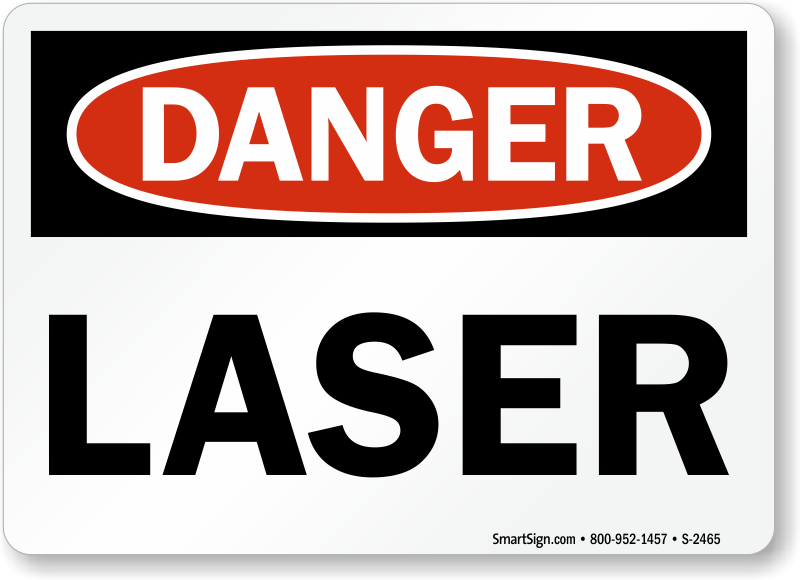 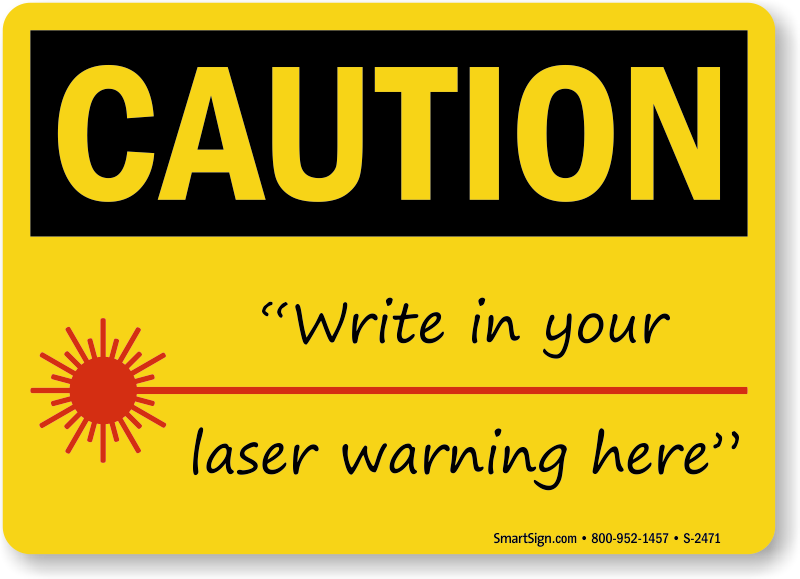 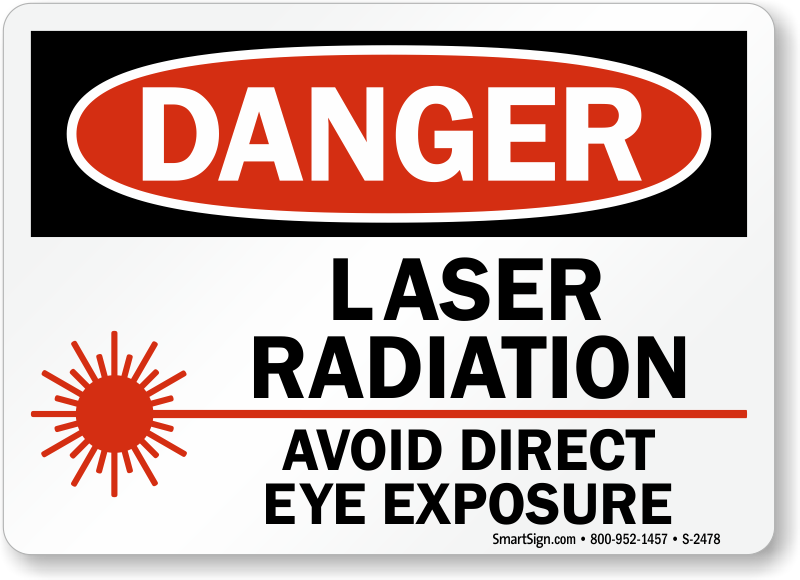 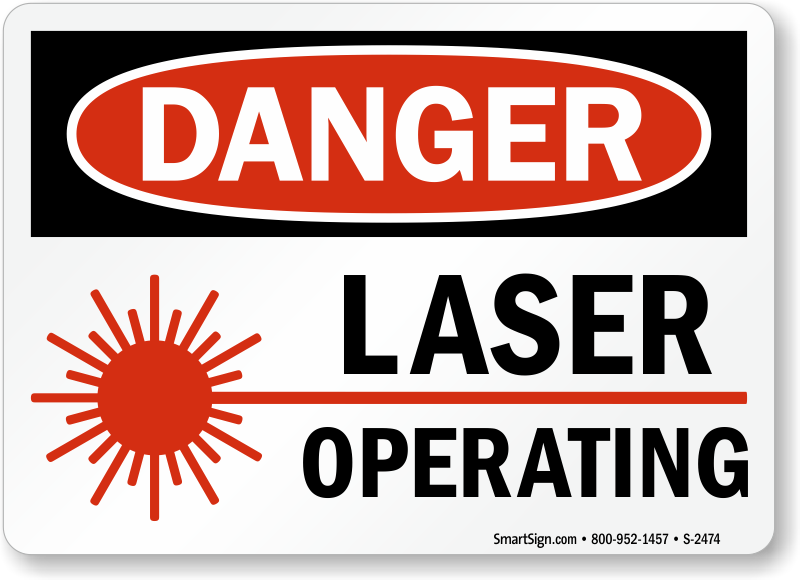 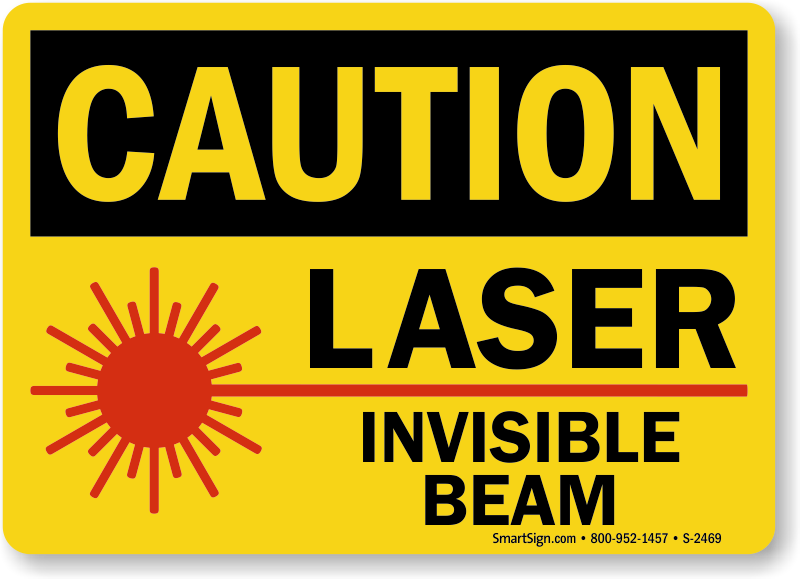 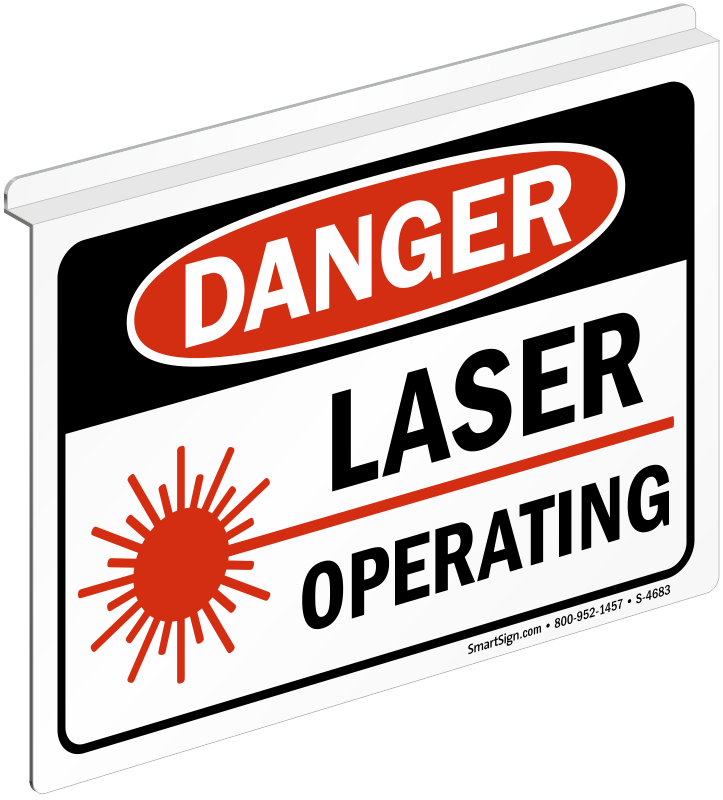 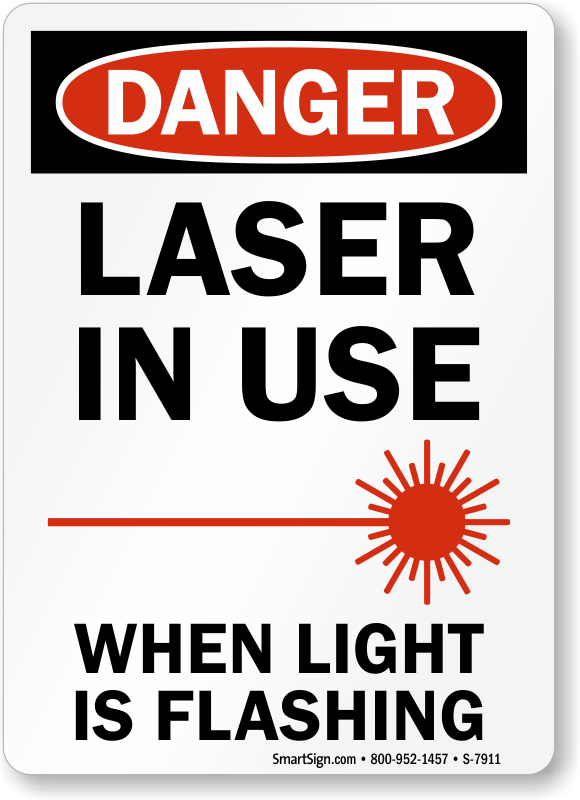 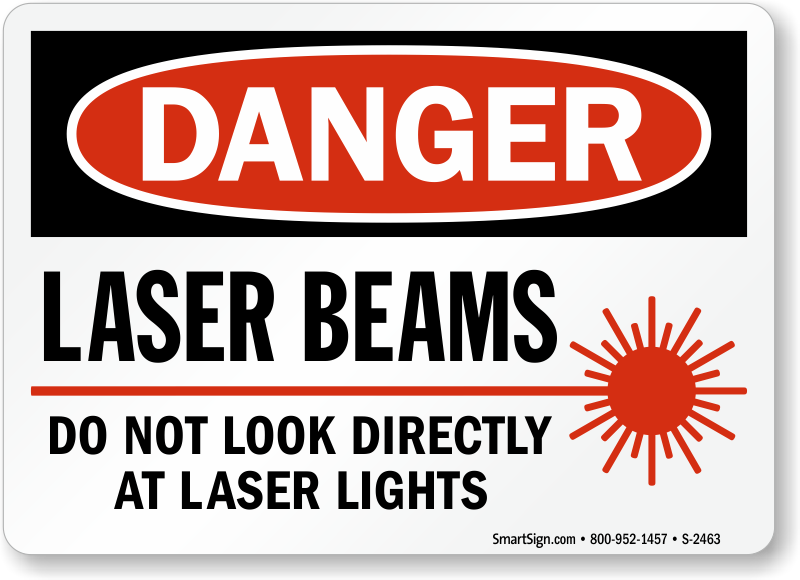 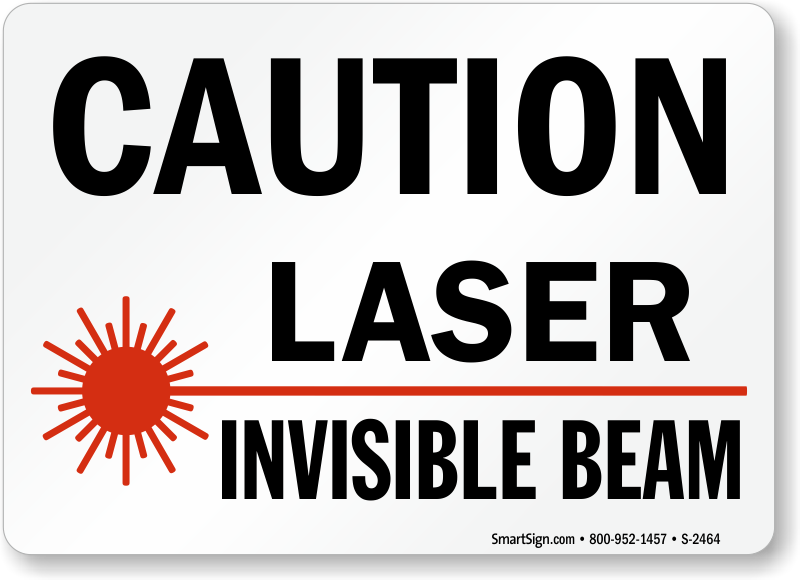 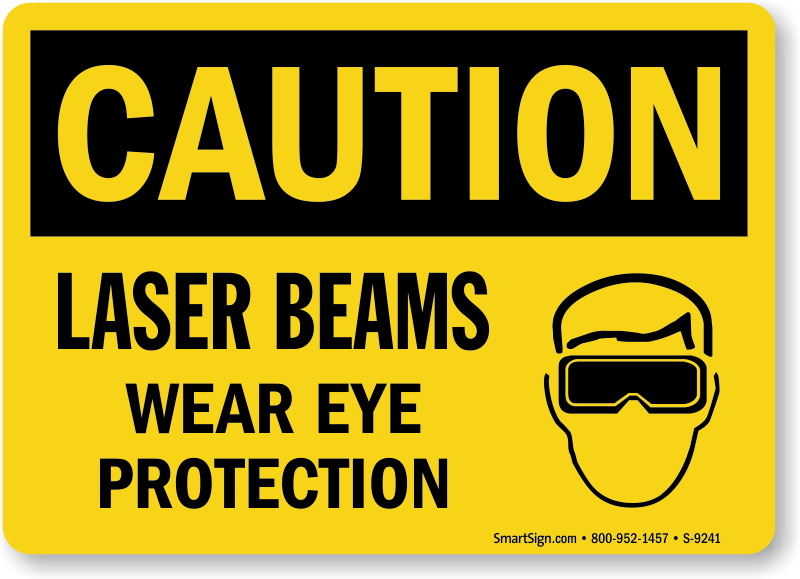 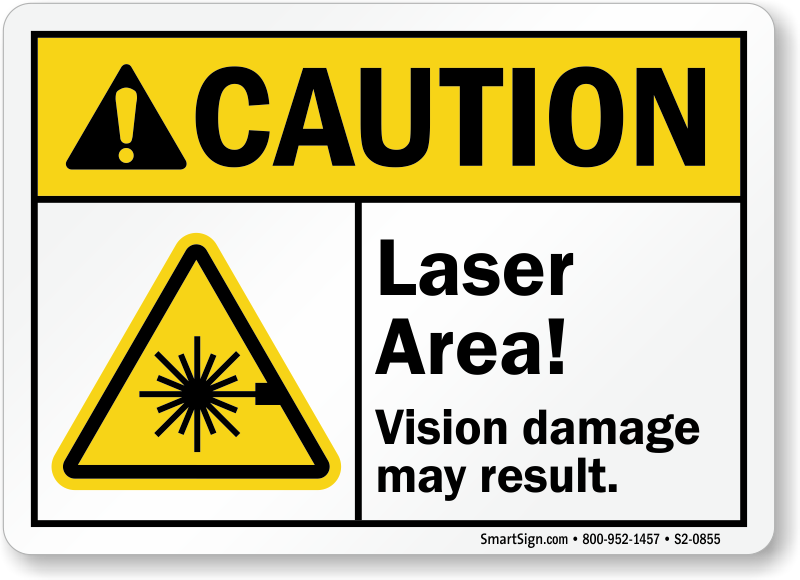 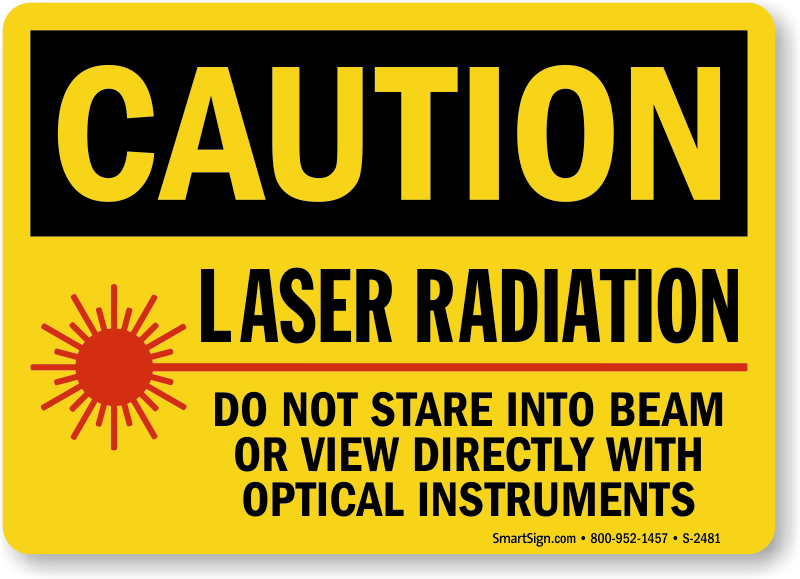 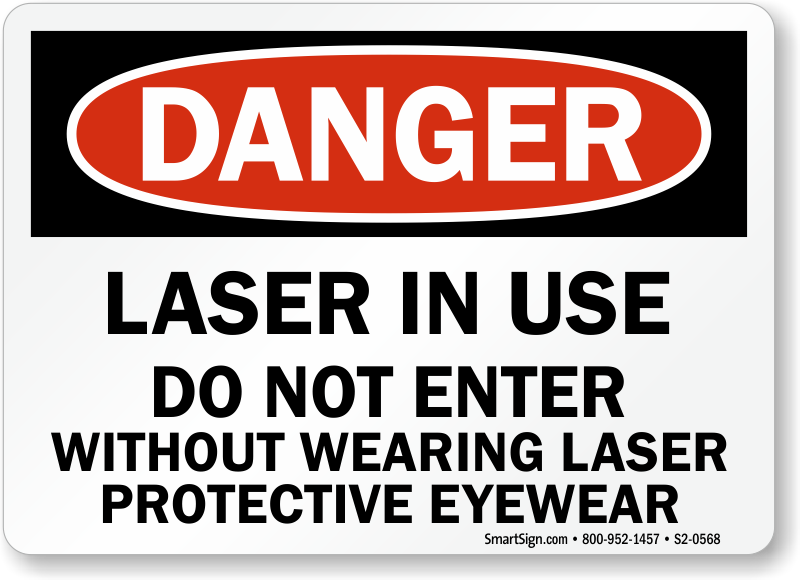 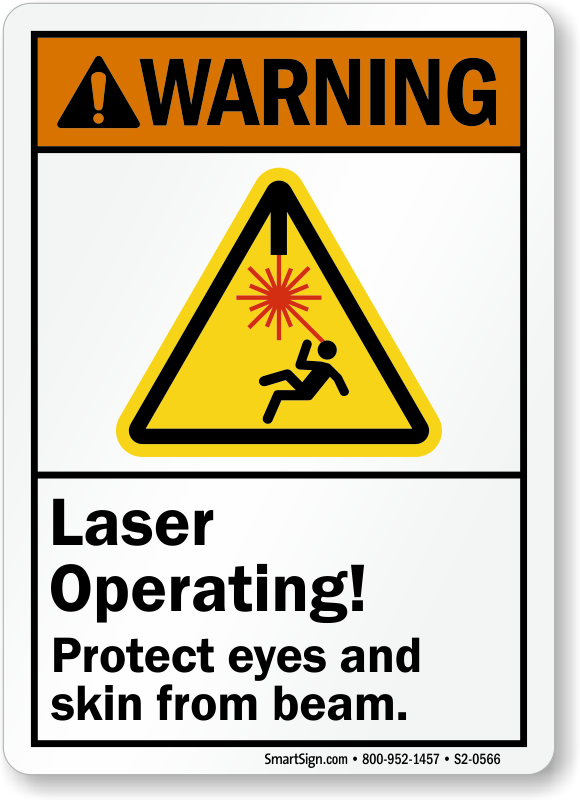 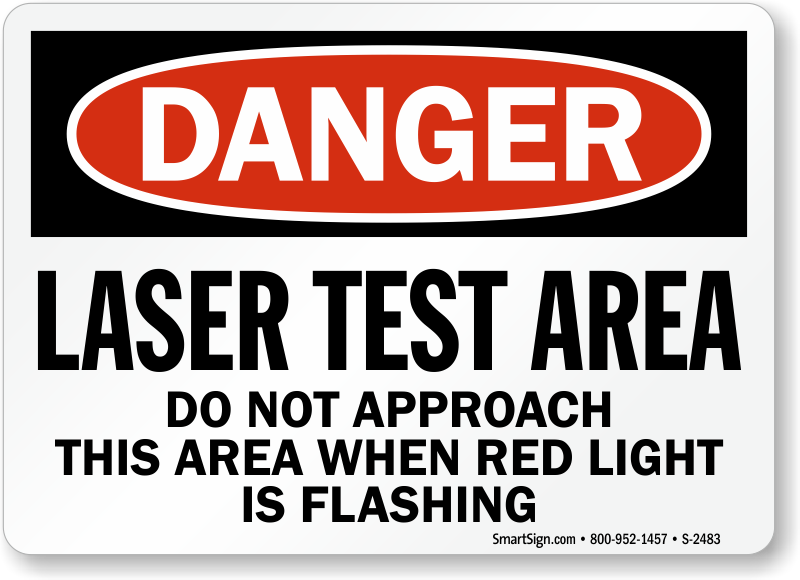 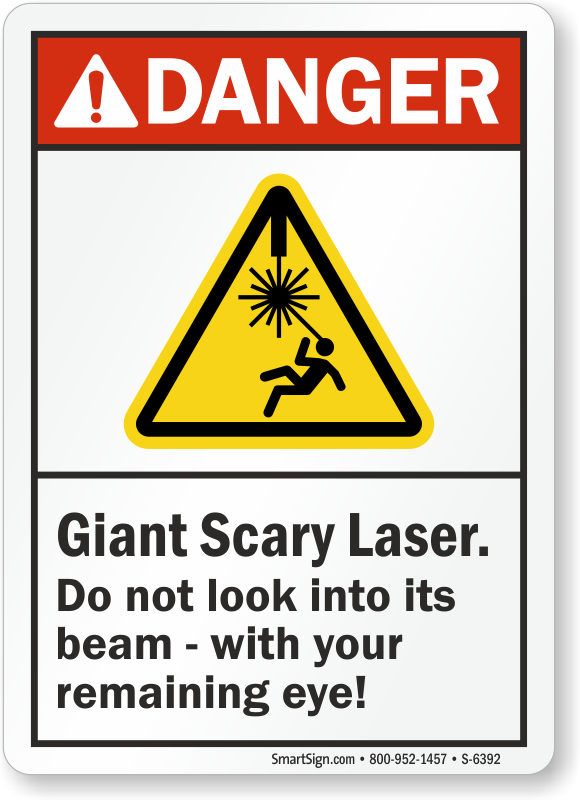 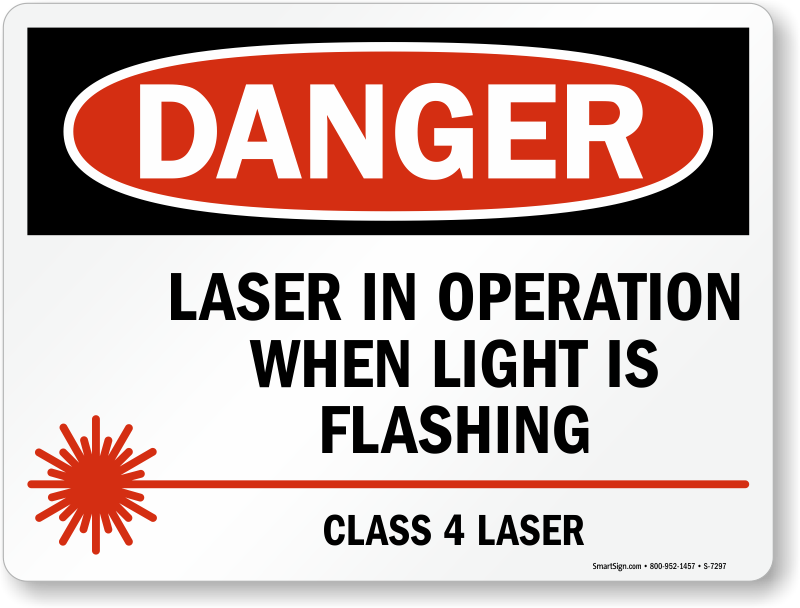 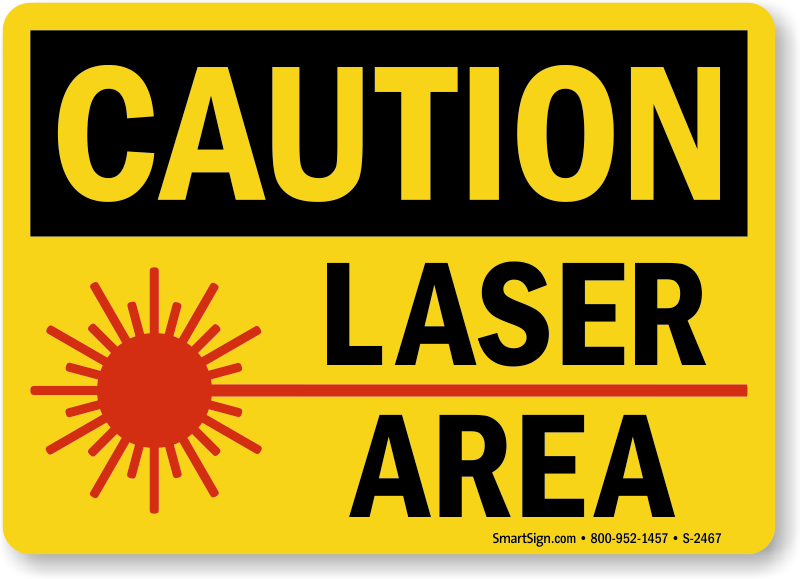 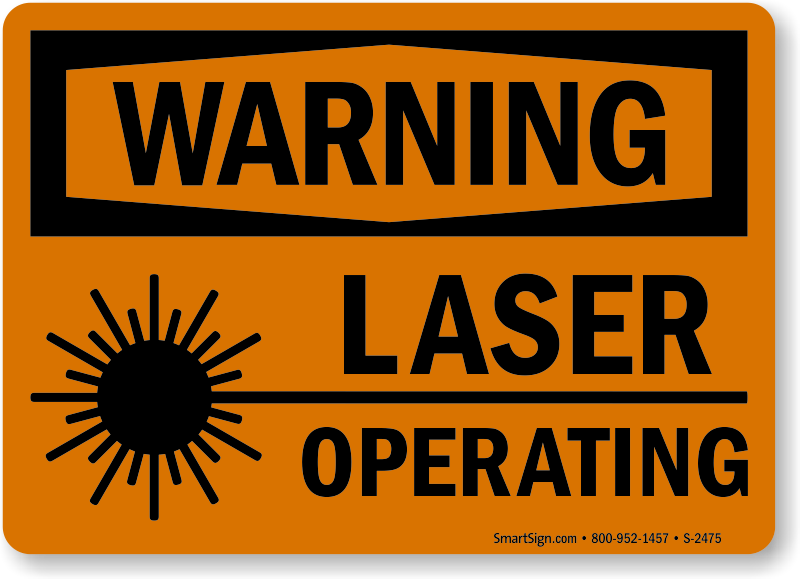 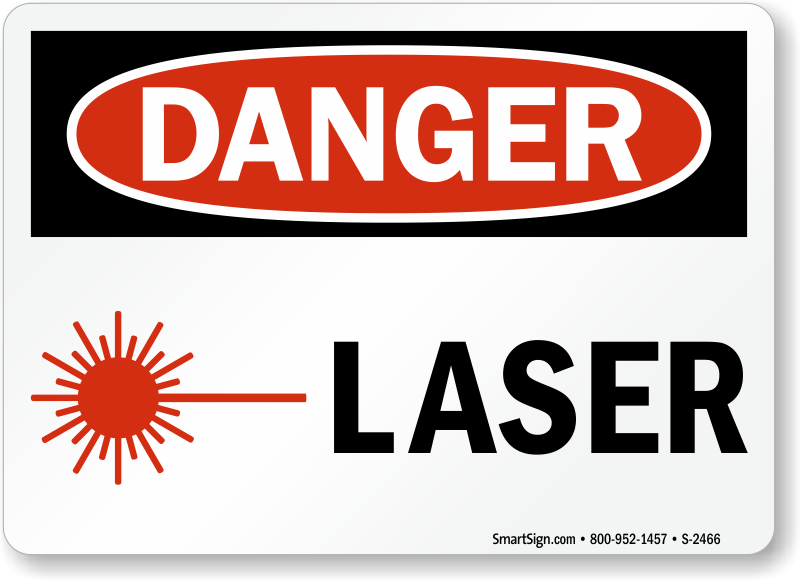 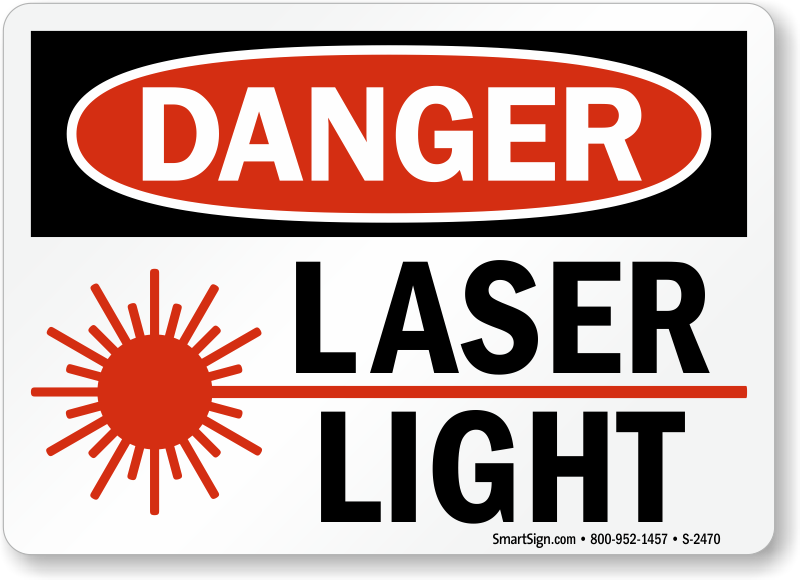 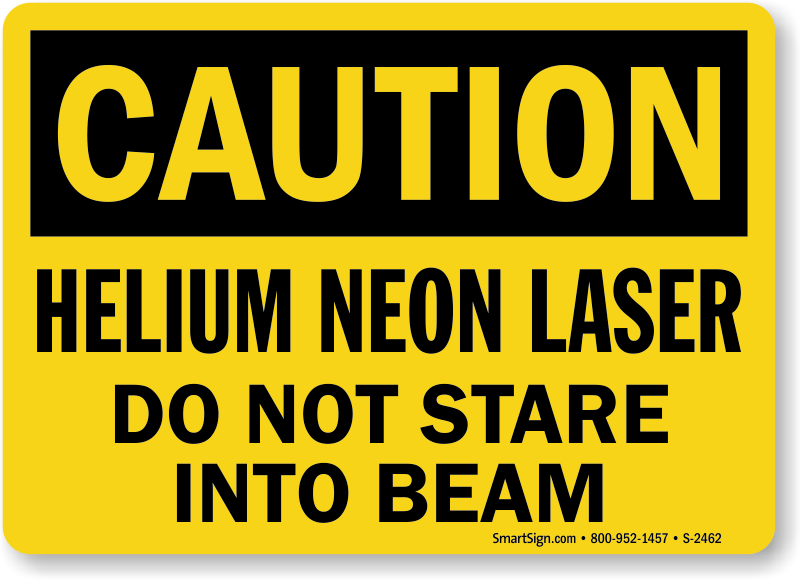 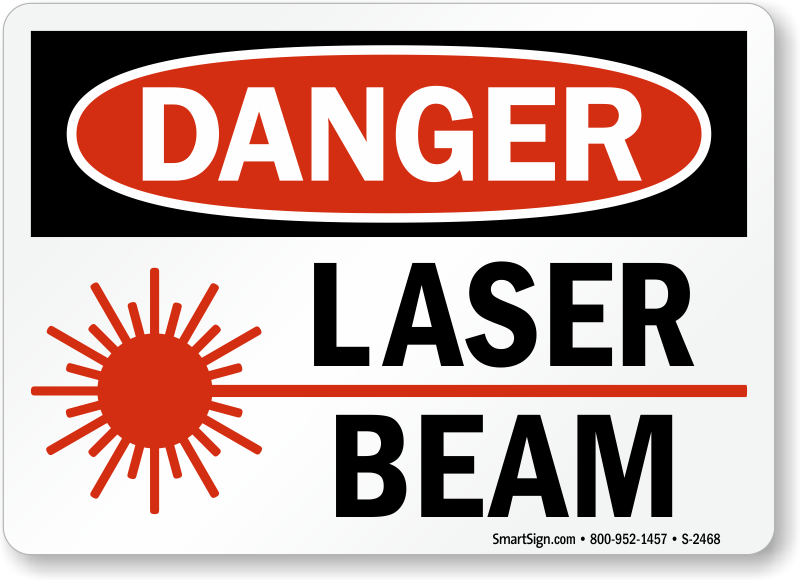 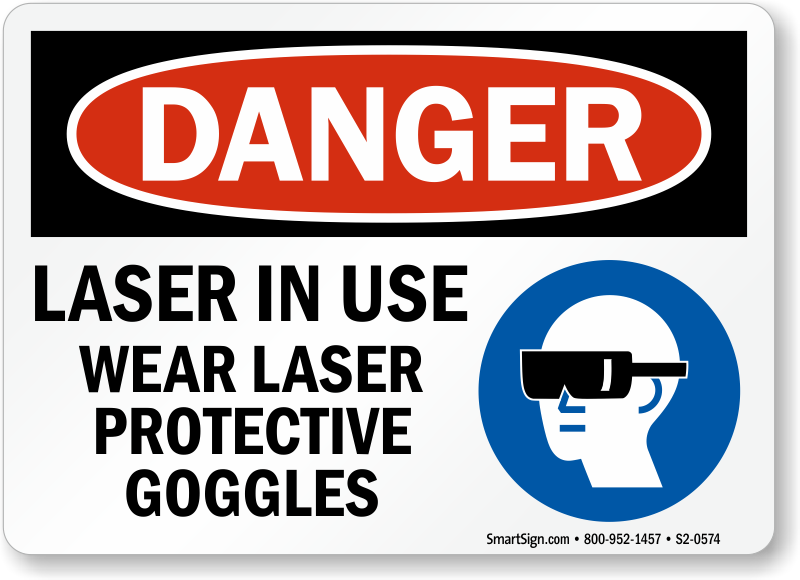 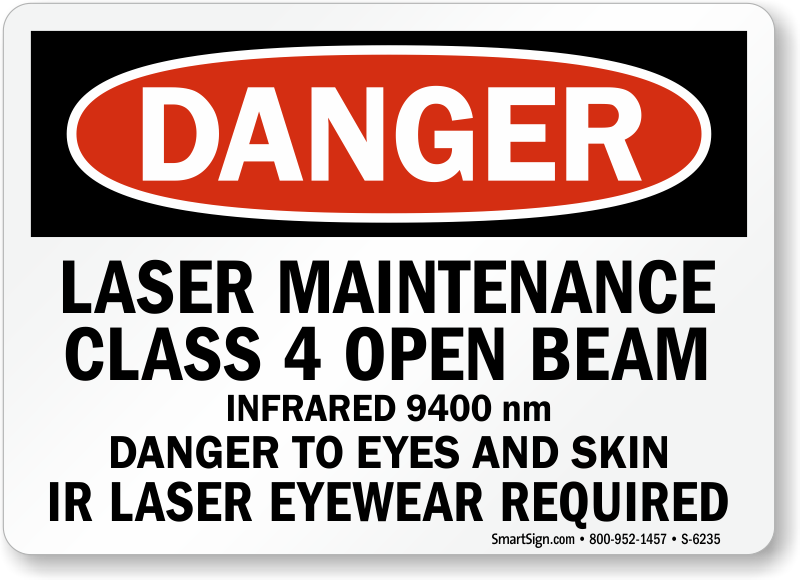 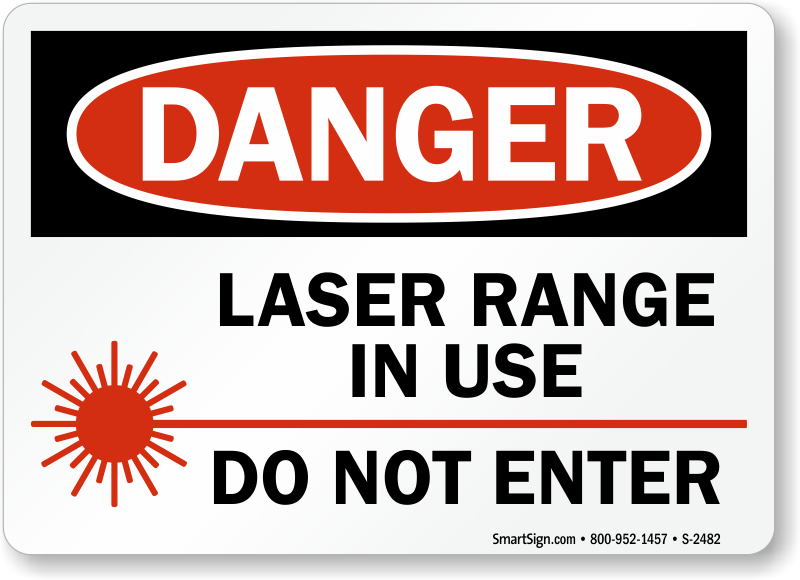 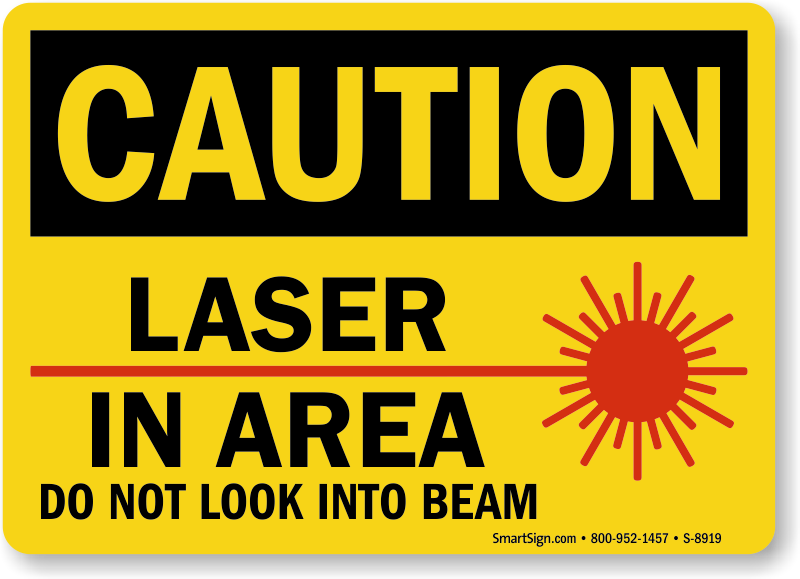 Warn workers in your facility who handle and operate lasers by posting Laser Warning Signs. 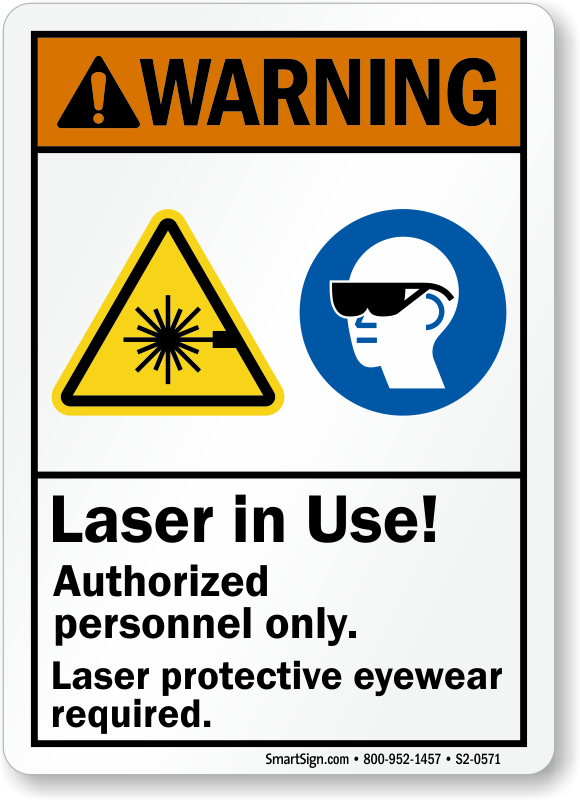 We can help you ensure that all lasers are appropriately labeled and that warning signs are conspicuously displayed in locations where they will warn most effectively. 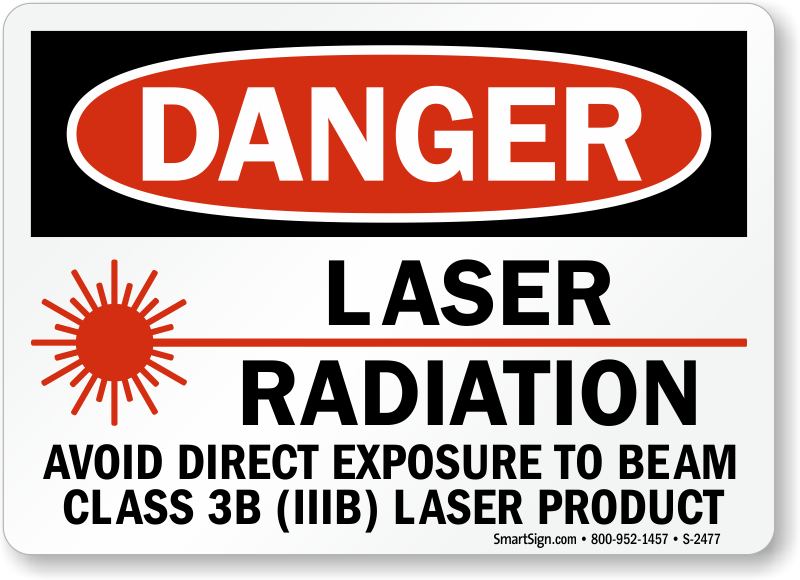 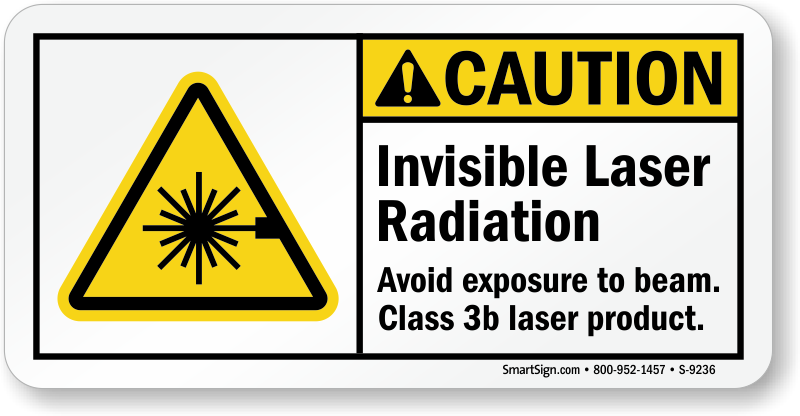 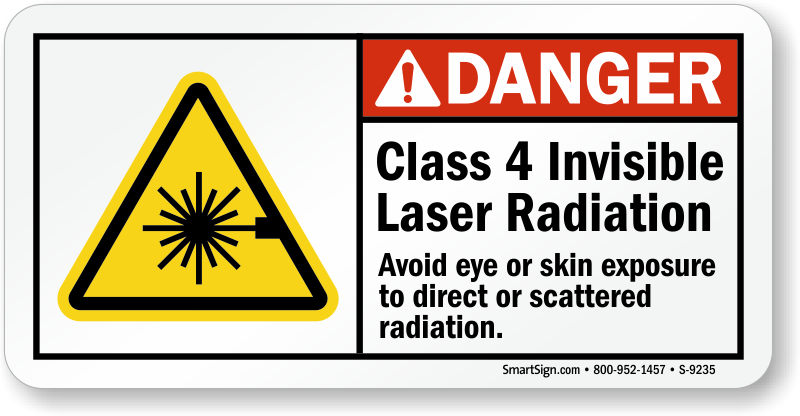 • Signs range from handy 3.5" x 5" labels that provide an on-the-spot laser warning, to 18"x24" signs that are hard to miss. 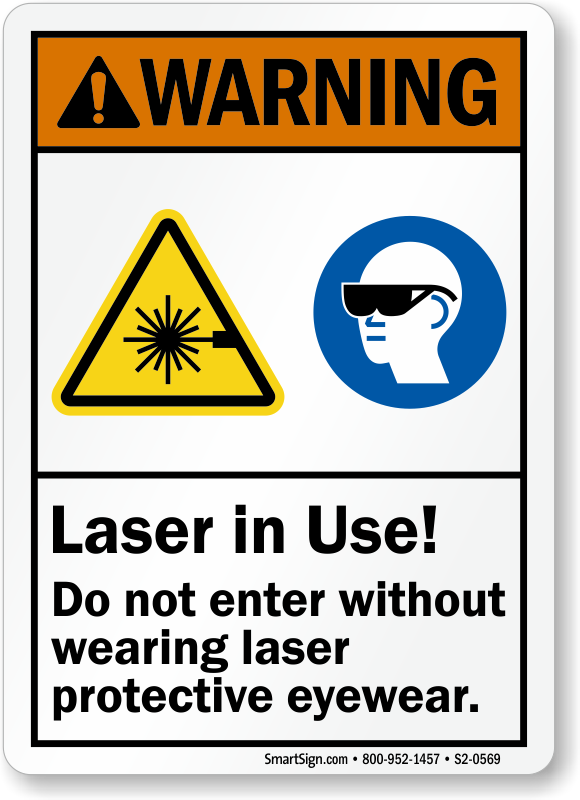 • Laser pictogram is easily understood - even by those who don't read English well. 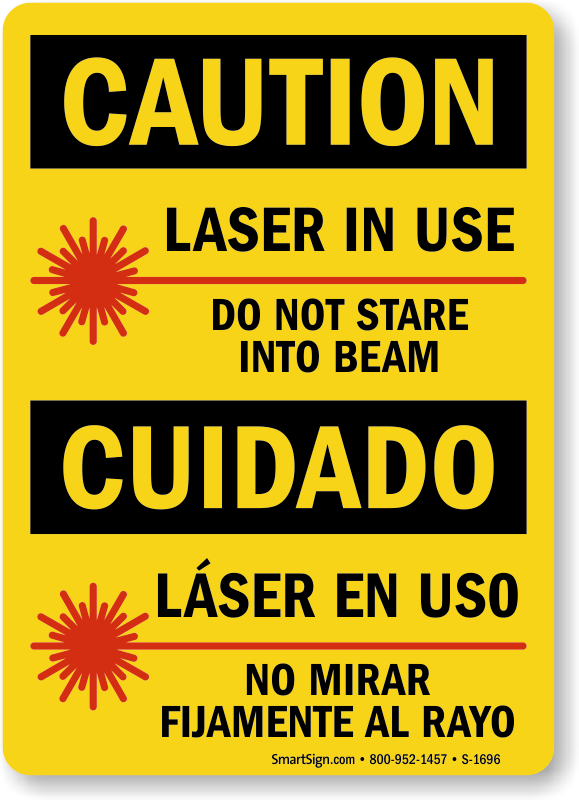 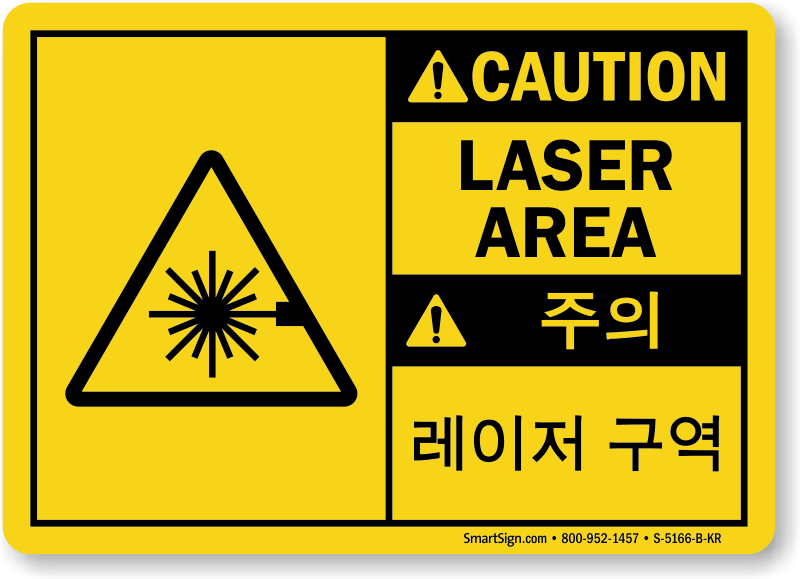 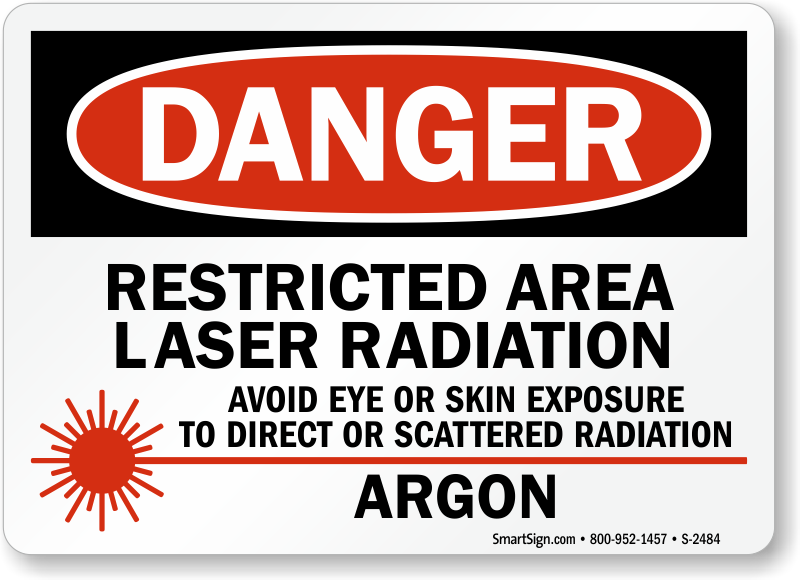 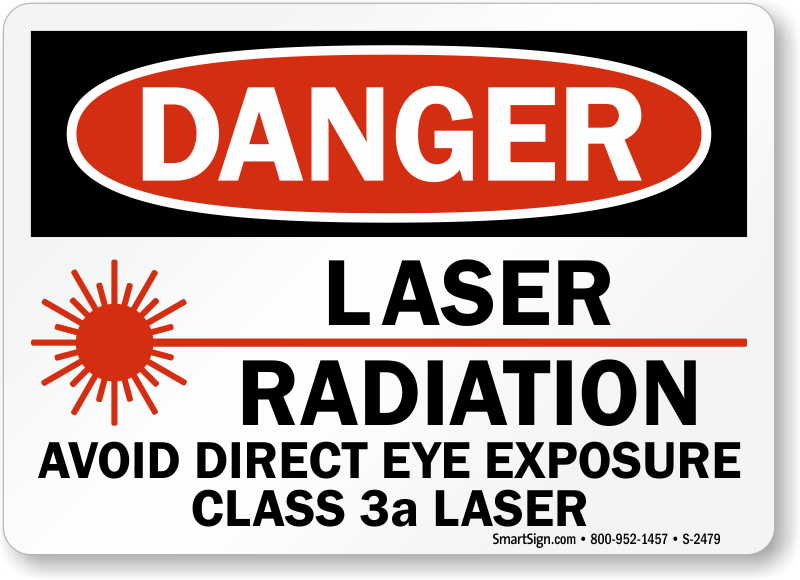 • Most Laser Warning Sign designs are also available in Spanish. 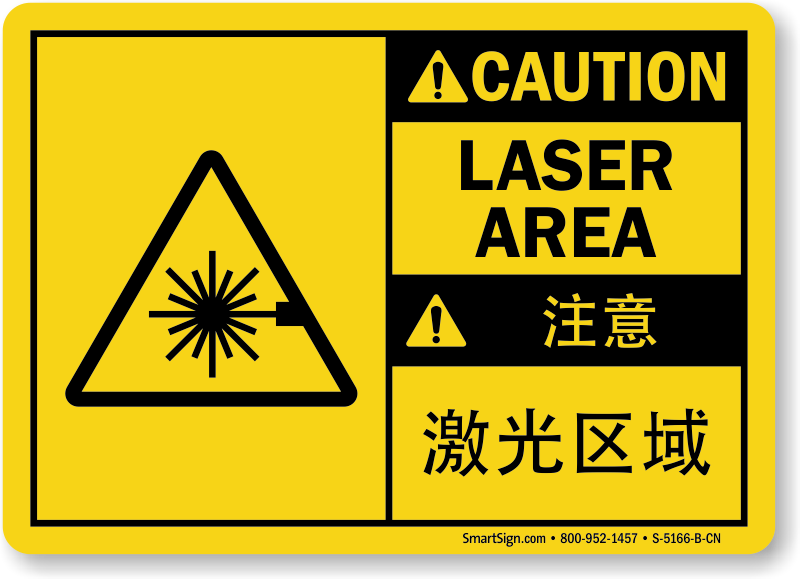 Find the right English sign text and drill down to the next screen . 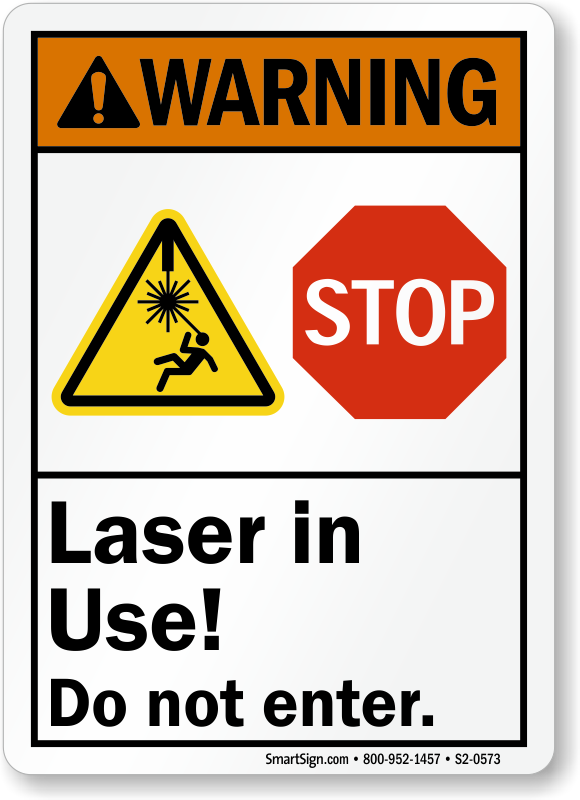 From there you can order or design a laser warning sign in Spanish - "Rayos De Láser! 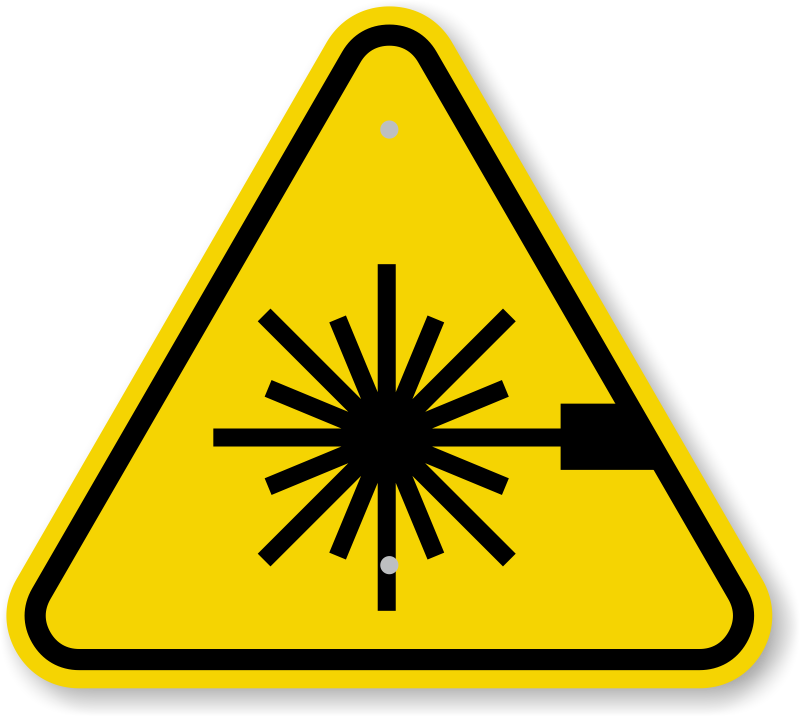 No Mire Directamente A Las Luces De Los Láseres." 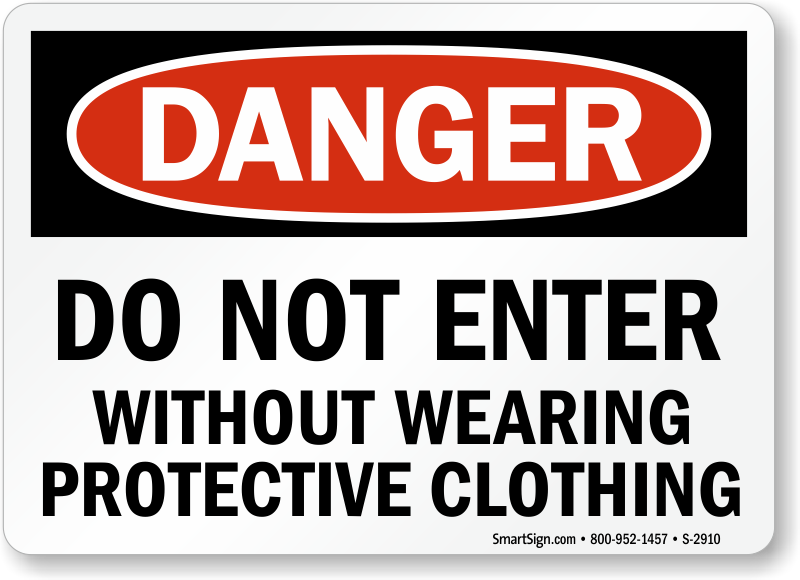 Quick delivery and just what I ordered!! 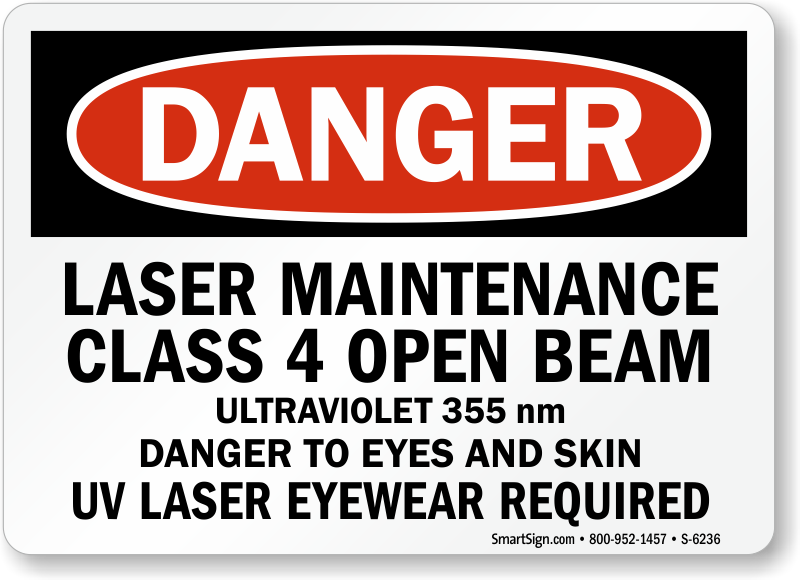 Great price and service. 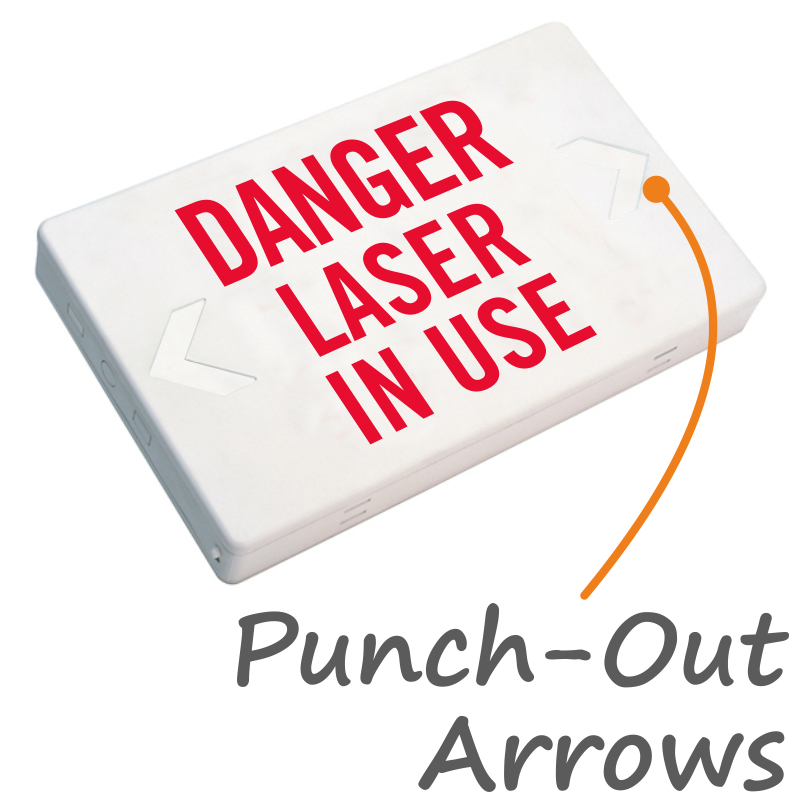 5 minute transaction with fast ship.